Improve personal relationships and professional exchanges with a proven technique to tell if someone is being deceptive. Drive Thru Deception is an audiobook of how to uncover deception using words instead of body language. It is the ultimate guide that liars don't want you to have. 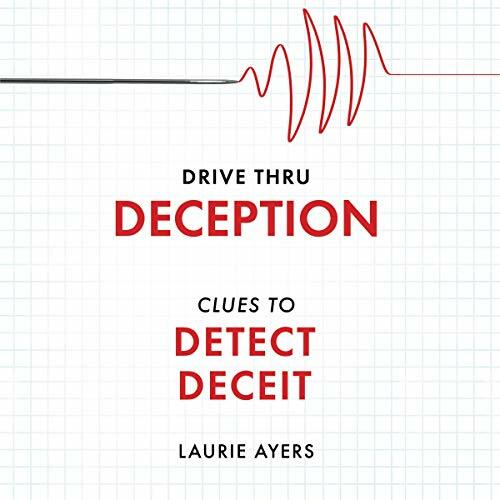 Through stories, humor, and dozens of practical tips, deception expert and human lie detector Laurie Ayers shows you a method to determine if someone is lying. Drive Thru Deception is a unique insight into the language of deception told in a quirky compilation of indispensable lessons, anecdotes, examples, and little-known tells, packed into easy-to-digest, bite-size nuggets. This reference provides practical advice that you'll be able to apply immediately. Whether you are struggling with a personal relationship, concerned about coworkers, or are in the human resources, sales, customer service, legal, medical, negotiation, mediation, or law-enforcement field, this audiobook is a must!